Just east of the dock featured a few days ago here is another dock. Eleanor B might be among the “newest” of the fish tugs I’ve seen, 1950. Click here for photos of her christening at Peterson Brothers in Sturgeon Bay and more. 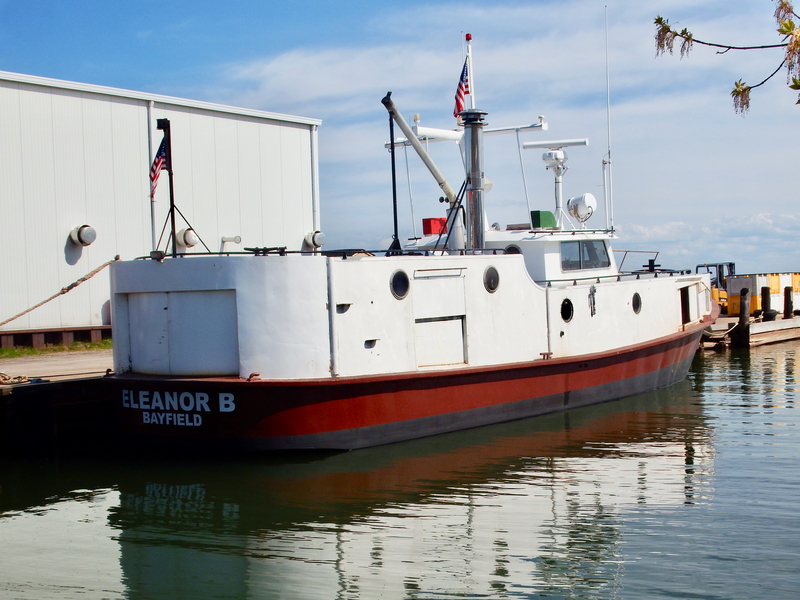 In the same fleet colors–I think–and two years older than Eleanor B is Twin Sisters, a trap net boat. If my info is correct, she was once known as Sue Carol. 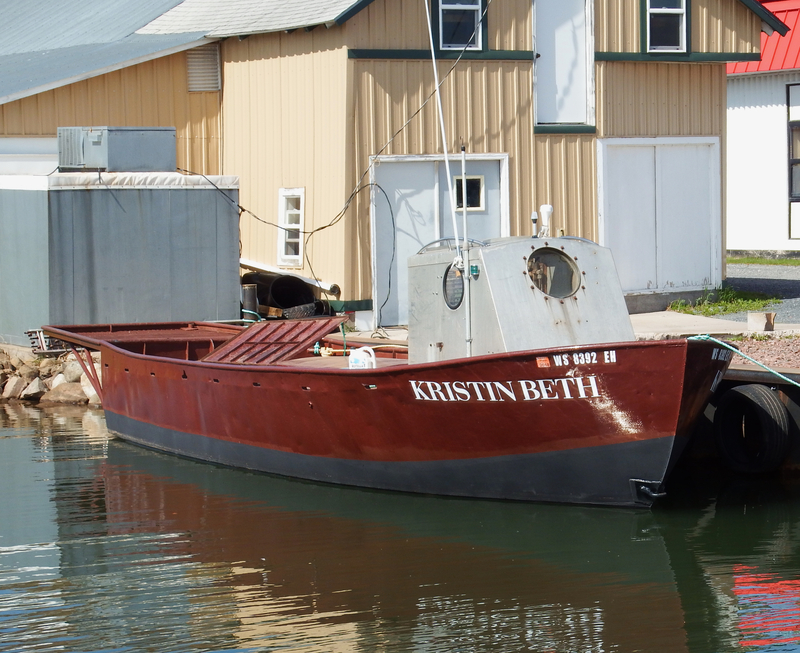 Kristin Beth . . .I can’t find any info about her. I’m wondering if the shelter forward is original or a repurposed portion of an old boat. 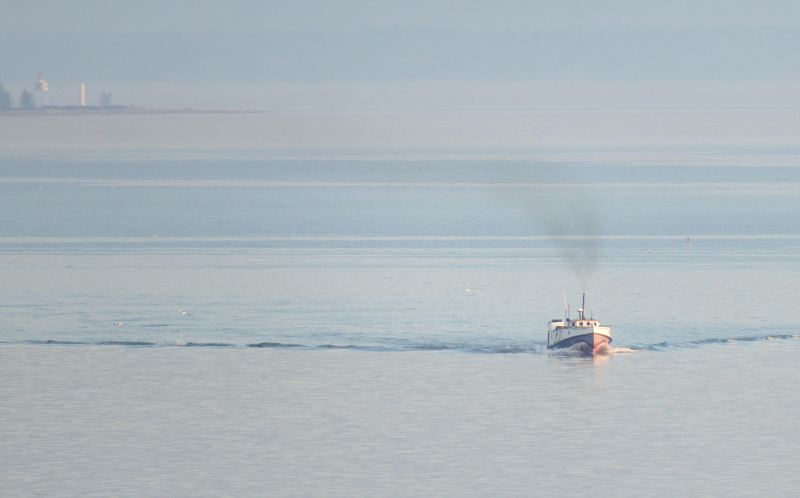 Boats came and went at the dock. 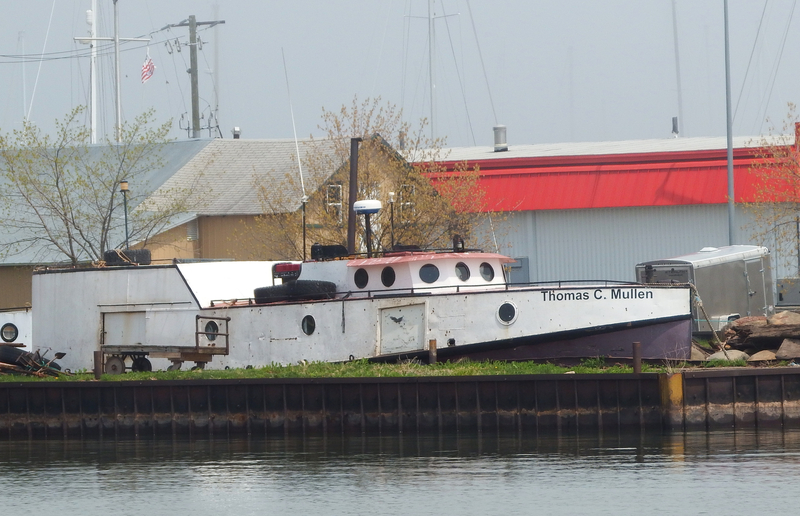 An arrival was Thomas C. Mullen, a 1946 Burger built boat. 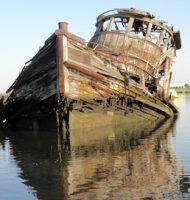 Click on the link in the previous sentence for info on all her modifications since 1946. 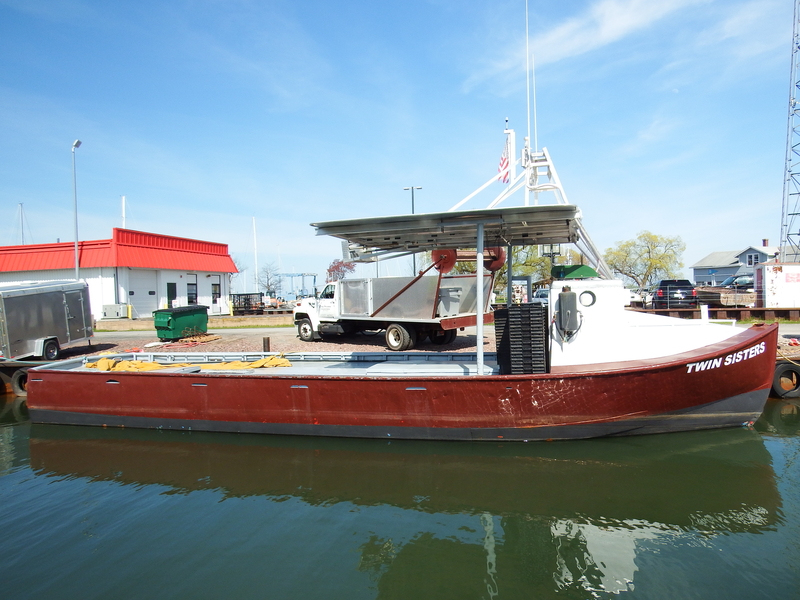 I may have mentioned this before, but Burger–still in Manitowoc–has built many vessels since 1863. 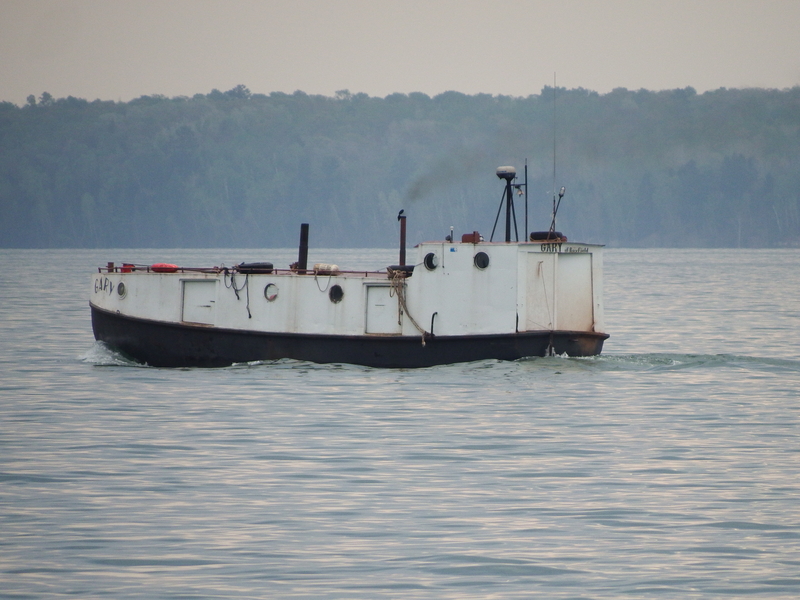 All photos by Will Van Dorp, who plans many more posts on fish tugs and is fully to blame for any errors in info here. 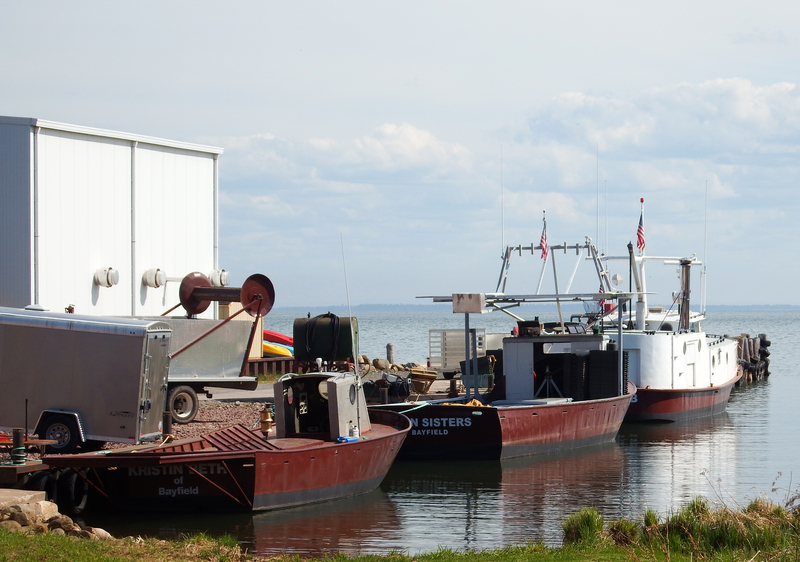 Question: why are these boats called “fish tugs”.